Written by Rebecca Oldham. Media by Bekah Dothager. The end of the summer season is near and we all know what that means..our favorite fall TV shows will be starting back up! This year, they will be back even bigger and better. 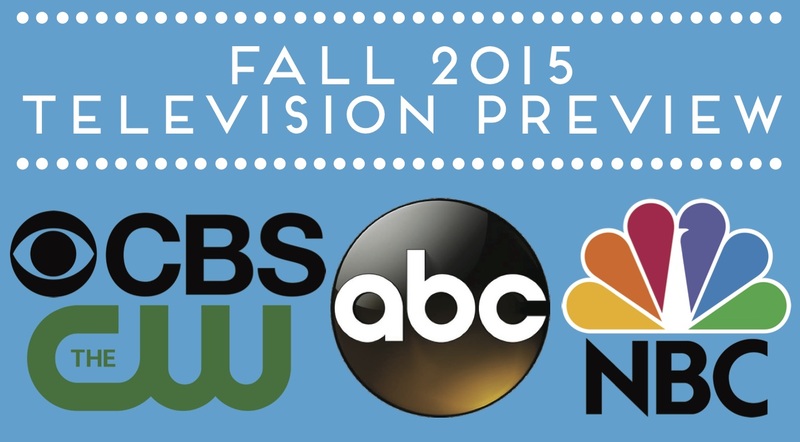 As for our favorite TV channels, they will be starting the fall season off with new shows for us to engage in. Each channel has started to develop several series from different genres, trying to give us a better variety of shows to watch. The CW will be introducing three new shows to the schedule this year. October 12th will start their brand new comedy “Crazy Ex-Girlfriend”. Rachel Bloom stars as the main character, a women who is a little too head over heels for her high school ex. However, that’s not the only new show! The past few years, the CW has been known for its origin stories for the DC superheroes. This fall, they will bring us the origin story of the “Legends of Tomorrow”. In the first look, we see a group of unlikely super heroes thrown together to face their immortal enemies. Also coming soon to the CW is “Containment”. ABC is welcoming 10 new shows to their channel, all of which have a very intense sense of drama. Out of the ten, two stuck out as something new and original. “The Family” starts with a family of five supporting their mother’s decision to be mayor when the youngest child goes missing. After years he is presumed to be dead, until he resurfaces…but is it really him? Next, ABC’s “The Catch” brings us into the world of fraud. As an investigator who puts away con-men, our main character is suspicious of everyone. When the one person she thought she could trust takes her for every penny she owns, it’s a race to see who survives. Both shows will have release dates coming soon. Other shows such as, “Dr. Ken”, “The Muppets”, “Quantico”, “The Real O’Neal’s”, “Blood and Oil”, “Of kings & Prophets”, “Uncle Buck”, and “Wicked City” will all be coming soon to ABC as well. We’ll be welcoming 16 new shows in NBC’s 2015 lineup. Starting in just a few weeks, we will get our first look at some very new shows. On September 21st , we will get our first view of the long awaited “Blind Spot”, which will bring us a very unique story of a girl covered in secrets. Watch as they unravel the meanings of her tattoos in order to save people and discover who she is really is. They will also be releasing the most anticipated reboot in a very long time. NBC has been teasing us with the trailers of “Heroes Reborn” since before the summer started, and now on September 24, the story begins again. Also premiering soon on NBC are, “The Player”, “Chicago Med”, “You, Me and the Apocalypse”, “Truth Be Told”, and “The Game of Silence”. CBS is going to start the fall off with five brand new shows premiering soon. They will be taking on “Limitless”, which should sound familiar. This show is based off the movie starring Bradley Cooper with the same title. In the first look, a man gets a new start when he is given a pill that allows him to access one hundred percent of his brain. CBS will also be throwing a hand in the world of DC comics and bringing to life the origin of “Supergirl”. In the first look, we find a girl trying to become someone, wondering what her point is in the world. She battles with the fact that she is an alien with powers. Her cousin has made a name for himself, saving people, and maybe it’s her turn too. If you are looking for more great new shows, be sure to check out TV Guides 2015 fall preview, and don’t forget to check out some of these great new episodes.